*Actual On Road Price of TVS Apache RTR 200 4V at the dealership may vary. (a) Power ahead of the pack with oil-cooled combustion chamber technilogy and ram air-assisted cooling that reduces the engine heat by 10°c. (b) Harness explosive power from the high combustion Nanofriks coated piston. We took the new TVS Apache RTR 200 4V for a special road test and were as impressed as we were during our time at the Company's test track in Hosur. TVS Apache RTR 200 4V Race Edition 2.0 has been launched in India. It gets an 'anti-reverse' torque slipper clutch and some new race-inspired graphics along with a fly-screen as well. 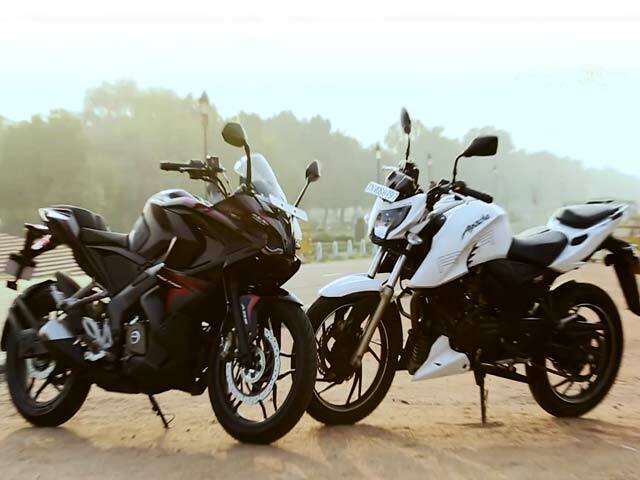 The new Apache RTR 200 4V 2.0 comes with a starting price tag of Rs. 95,185 for the standard variant and the price goes up to Rs. 1,08,985 for the ABS version. Both the prices are ex-showroom, Delhi. The new Apache RTR 200 gets the same 197.5 cc single-cylinder engine which produces 20.21 bhp on the carburetor variant and 20.71 bhp on the EFI version. The torque output remains the same at 18.1 Nm. TVS will offer the slipper clutch technology on the carburetor variant. The slipper clutch with EFI engine is the second option while the slipper clutch with the carburetor and ABS is the third choice for buyers. The EFI and ABS versions will be available only at select dealerships. The Apache RTR 200 4V is the first motorcycle in its class to get a slipper clutch or an 'anti-reverse torque unit' as how TVS calls it. It reduces the force used to operate the clutch by 22 per cent, make the upshifts quicker and lowers wheel-hopping when downshifting aggressively and while cornering as well. The TVS Young Media Racer Program is an initiative for media professionals to experience the thrill of racing. Here's how the qualifying session unfolded. TVS has launched the Apache RTR 200 4V with dual-channel ABS in India. The ABS version of the bike is priced at Rs. 1.07 lakh (ex-showroom, Delhi).